This classic tin music box plays the 1940 iconic Disney classic from Pinocchio "When You Wish Upon A Star"! Place the in.. 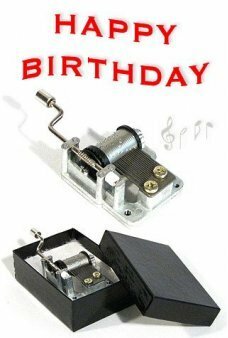 This classic tin music box plays the original 1893 "Happy Birthday to you"! Place the instrument on a hard surface like .. This classic tin music box plays "We wish you a Merry Christmas"! 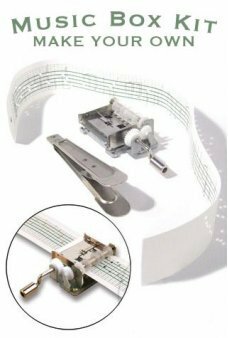 Place the instrument on a hard surface like glass or w..
Our beautiful Classic Cello music box plays a variation of Canon in D! Just wind up the key in the back to hear the meta.. This classic tin music box plays the 1934 pop standard "Walkin in a Winter Wonderland"! Place the instrument on a hard s.. This classic tin music box plays the 1950 Gene Autry and TV Animated "Frosty the Snowman"! Place the instrument on a har.. This classic tin music box plays the Christmas Song "Here Comes santa Claus"! Singing Cowboy, Gene Autry wrote and recor.. 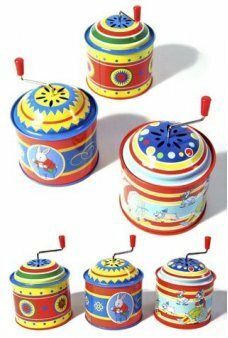 This classic tin music box playsthe 1957 pop hit "Jingle Bell Rock"! Place the instrument on a hard surface like glass o.. This classic tin music box plays the 1719 English Christian Hymn "Joy to the World"! Place the instrument on a hard surf.. 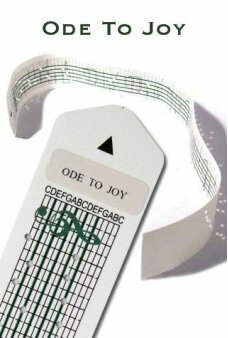 Play “Ode To Joy” by Beethoven with this Prepunched paper strip on our Music Box Kit. 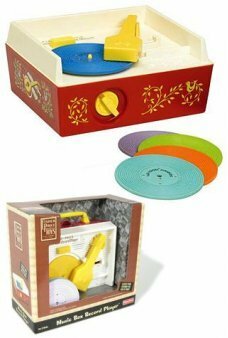 See our Music Box Kit (TTA0159).. 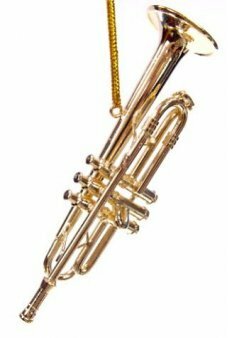 Hang this beautiful golden Trombone on your tree. 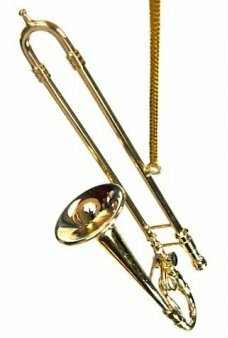 Our amazingly detailed metal Trombone looks like the classic instrumen.. This classic tin music box plays the 1788 Scottish classic New Years tune "Auld Lang Syne"! 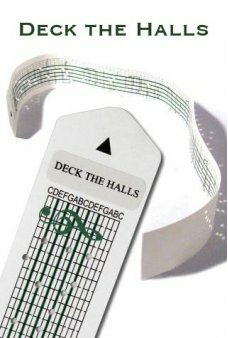 Place the instrument on a ha.. This classic tin music box plays the happy Christmas Song "Rudolph the Red-Nosed Reindeer"! Singing Cowboy, Gene Autry r.. Hang this beautiful golden Trumpet on your tree. Our amazingly detailed metal Trumpet looks like the classic brass instr.. This classic tin music box plays the 1949 Boston Pops classic "Sleigh Ride Together With You"! Place the instrument on a..
Make your own music box melodies on our Music Box Kit. The kit includes 4 Music Strips: the pre-punched "Happy Birthday".. 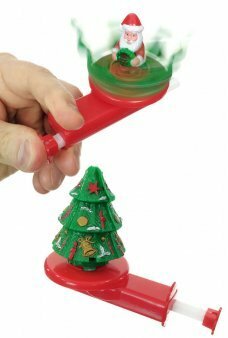 The classic Christmas Tree Spinner toy has a surprise inside - it's a Santa Claus! 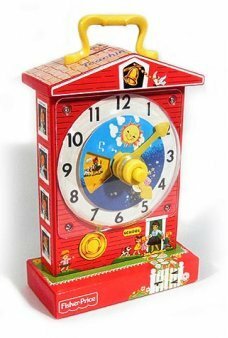 Just push the red button with ..
Our classic Tin Musical Box plays a happy classical song! 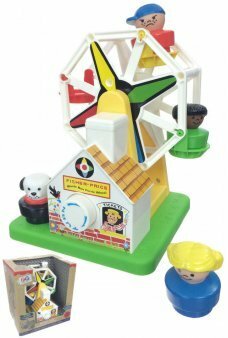 Spin the crankshaft at the top of the colorful tin cylinder t..
Take one look at our vintage and retro-inspired Fisher Price music box record player and you’ll instantly transport righ..
Take one look at our vintage and retro-inspired Fisher Price music box Ferris Wheel and you’ll instantly transport right..
Make happy holiday noise with our Christmas Bells Bracelets. 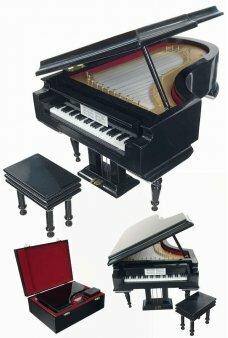 You get 2 fabric straps (one red and one green) with ..
Our beautiful Classic Grand Piano music box plays Beethoven's Fur Elise! 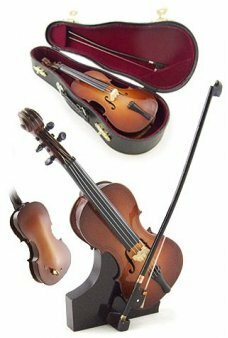 Just wind up the key in the back to hear the gl..
Our beautiful Classic Upright Bass music box plays a variation of Laura's Theme. 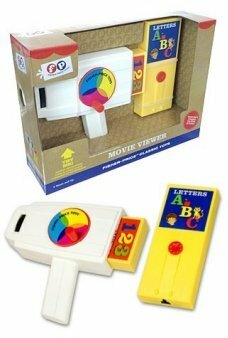 Just wind up the key in the back of the..